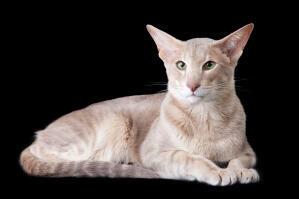 If you want to read the full history of the Oriental breed click here. This Oriental variation was born in the 1970s in the UK. 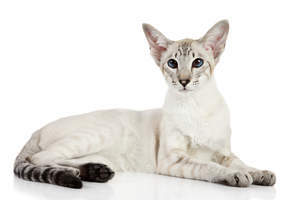 A mating between a chocolate point Siamese and a Persian Chinchilla created a litter that included two kittens that had shaded silver coats, which look like a slightly modified tabby pattern. This unique pattern and colour took the fancy of breeders who decided to develop this new branch of the Orientals. To read about the Oriental behaviour click here. All colour and tabby patterns, excluding white.